I recently complete a course on “Comic Books & Graphic Novels” from BOULDER University, Colorado (Coursera). The Course detailed into many aspects of Comic books, of how this is more than just entertainment, and of comic books being a virulent art and a wonderful form of literature. Now being a comic books fan since ages (About Me & Comic Books) I was obviously seriously interested in “LEARNING” more about this wonderful form of art – The Comic Books and Graphic Novels. In this course Professor Kuskin spoke about various types, forms and styles of comic books and graphic novels. Their evolution and the story behind some of the most popular, insightful, entertaining and most importantly even politically influential comic books of all time. It was a wonderfully refreshing course! We discussed some of the most popular comic books including superheroes and their evolution with insights into the real process of ‘how they came to be’ for eg. Superman, Batman, Deadpool, Wonder Woman, etc….. and the very first comic books that introduced them to the world. One of the most favorite topics of mine during this course was about the insights, story and details of probably one of the most influential comic books of all time – ‘MAUS’ – In 1992, MAUS became the first graphic novel to win a Pulitzer Prize. It is humbling to write about something that describes in an art form, an experience that is so tragic in human history, that it is difficult to even comprehend the gravity of this horror. The award winning comic book is more than just another Holocaust story. It is a bridge between the past and present. 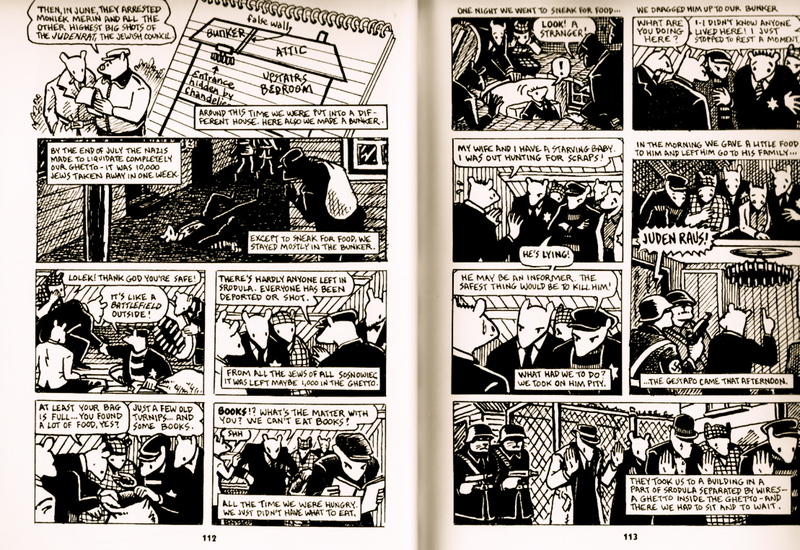 It focuses on Spiegelman and his complex relationship with his father Vladek. Spiegelman has expressed the events of the Holocaust that have seemed to not just influence his father’s life, but at certain levels, still continue to haunt Vladek. Vladek’s attempt to ‘explain’ to Artie, shows desperation to convince Artie to believe in him otherwise of the rationality or despair in making the decisions he had to, during and after the Holocaust. Spiegelman has used animals to represent faces of different ethnic groups, Jews are mice, Nazis are cats etc, but when observed in their complete forms, the rest of their body moves and expresses with human emotions. This brings together an epic tale in a creative manner. In these pages, the story of a horrid racial genocide takes the readers inside the ghetto and bunkers during Holocaust of WWII. I found these pages to be very crucial as it showcases despair and expresses feeling of distrust owing to the fear of death growing among each individual. As the page evolves, we can almost feel trust eroding overshadowed by fear. Each individual is thinking about survival, not as a human race, but each man for himself. 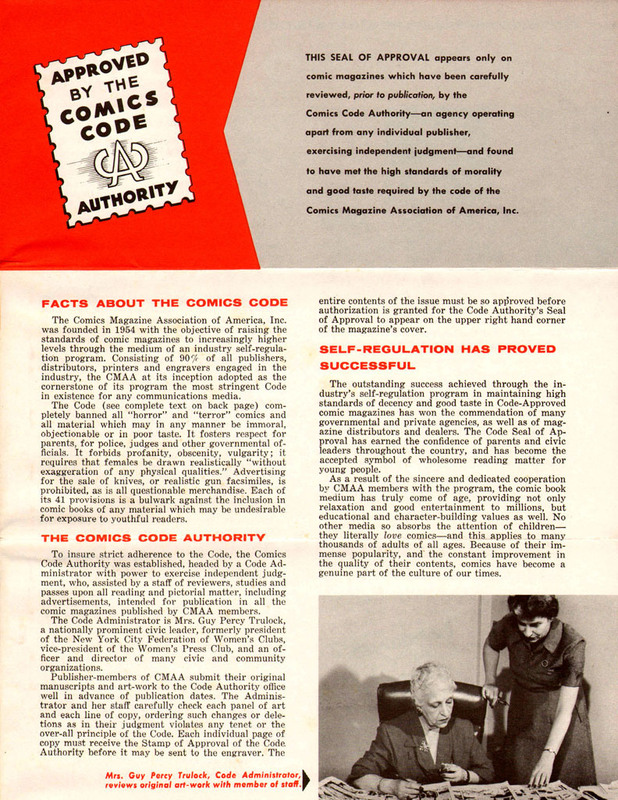 The comic book has a four by two layout with four Tiers and two columns. Tier 1 is a mid-shot of the core characters with a close-up of the Notepad. Artie and Vladek are seriously discussing details of the bunker and Judenrat. The readers get a view from the characters eyes. Notepad drawing grabs the attention of the reader from any panel across pages. Detailed description of ‘false wall’,‘hidden by chandelier’ give a view of the frightened state of Jews seeking solace. Artie is completely immersed in the drawing whereas Vladek is trying to take Artie into the scene and make him feel the emotions. Tier 2 is a wide shot depicting the narrative about them seeking food by sneaking out. This scene is balanced with silhouette of the Mice trying to hide themselves from the army Cats (Two soldiers feet walking facing the other direction). One cannot see the (mouse) eyes, but the body posture says it all. The scene feels grimmer as we can clearly see that the place is already pitch-dark and yet the mouse needs to take precaution by hiding behind the wall while grabbing small bag of food. Tier 3 Panel 1 shows immediate reaction of relief from other members when they see Lolek who says “It’s like a battlefield outside” even prior to climbing back into the space showcasing urgency to express his fearful experience. Tier 3 Panel 2 shows all of them having a serious discussion about the status outside. This focuses on the fact that the time to grab food is also an important time to gather as much information about what’s really happening outside. The Tier 4 Panel 1, shows them scurrying hungrily towards the bag. As one of the mouse queries about the contents of the bag, Lolek replies “Just a few old turnips” takes a small pause and adds, “and some books.” His pause tells us about the fierce discussion that is about to follow. The Tier 4 Panel 2 shows the sudden commotion and frustration of a group member who yells angrily with his arms on his hips, “BOOKS!? What’s the matter with you? We can’t eat books!” This scene speaks about each member’s state of mind. One member is shown to be in complete fear with focus on keeping their voices down from reaching the soldiers patrolling outside. Two members at the back with their heads and eyes lowered express shattered hopes of finding more food. The agitated character is shown in absolute state of fury whereas Lolek is shown to give importance to books, even more than food. This behavior could have been to express the fact about Nazis burning all texts that spoke of topics which were not approved by them. This scene ends with an informal English dialect by Vladek to Artie. Tier 1 panel 1, narrative description continues. When they return from food hunt, they find a stranger in the bunker sitting petrified and dazed with fear. Important to note: All of them have been out hunting for food, probably due to earlier fight causing distrust among them. Readers can feel human bonds of trust and empathy eroding in this scene and more so further. Tier 1 Panel 2 “We DRAGGED him….” The eyes of each character in that room express rage towards this stranger. “What are you doing here?” is the first question they ask him. No one enquires about ‘his family’ or even ‘who he is’. Rather it’s extremely curt especially with focus on ‘We DRAGGED’. The stranger stammers and responds explaining he came without any preconceived expectations of this place and landed here merely to rest. Tier 2 Panel 1: Stranger is shown perspiring and his hands as though trying to request the group to hold back and just give him a moment. He explains that he has a family and a kid who is starving, the stern eyes of the group adds more tension to the room while one of them, says out aloud, “He’s lying!” Based on the earlier panel’s sketches, the person speaking out could very well be Lolek, as he is the only one shown through these panels to be wearing a hat, right from the start. 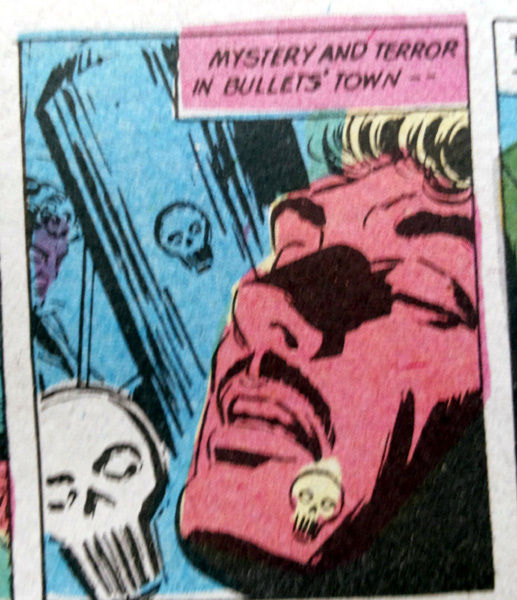 Tier 3 Panel 1: Lolek continues expressing to others that this stranger might be an informer and goes to the extent of saying with a sense of rush, to even kill him. It ends with an informal English narrative from Vladek expressing that finally they decided to trust the stranger out of pity. Tier 2 Panel 2 is an important scene where Vladek states that they set the stranger free and also gave him food. Here we can see the group members in fear as they are hiding in the bunker above the chandelier. The Tier 3 Panel 2 depicts what looks like the stranger from the earlier panels being accompanied by army Cats as he coldly points out towards the hidden room above. The stranger depicted as a Mouse is clearly a Jew, but him turning into a traitor could be to save his own skin. Such kind of betrayals were very common during those times as things went from bad to worse to absolute hell. This was the time when even families and friends meant nothing. Tier 4 is a wide shot of the scene where all group members are shown held captive and taken to the barbaric Ghetto. German army ‘cats’ are sketched with details of whiskers depicting their fierce nature, lack of pupil filled with white space expressing scary personality coupled with guns pointed towards prisoners, creating an eerie scene. This powerfully exemplifies the command of army cats over the submissive mouse. These two pages speak volumes of the eroded ‘human bonds’ overshadowed by need to survive.There is no trust,but merely a horrendous experience when all hope is lost giving us a glimpse of ‘nature of experiences to follow’.I titled this essay after the iconic Disney quote as the Nazi’s spoke of Jews & Mickey Mouse as vermin’s through propaganda. Which comic book or Graphic Novel has influenced you a lot? Do share your comments and views with me here. Batman is truly a superhero across ages and genders. There is something about the Dark Knight that keep his fans coming back for more. On the back of my mind, the one thing that stands out the most about this caped crusader is the fact that he is well, just human. He is a superhero who does not really have any superpowers, but appeals to the everyday common man who has been putting up a lot with the harsh realities of every day life. He is a man who is unlucky in love, life and not only that….fate has kept pushing him down every now and then, but he keeps coming back and hits harder. He is the ultimate superhero who does not need to be the ‘good guy’ every time! In early 1939, the success of Superman in Action Comics prompted editors at the comic book division of National Publications (the future DC Comics) to request more superheroes for its titles. Removing the red sections from the original costume. FANS across the globe argued that owing to his vengeful ferocious nature coupled with grit, fearlessness and tremendous mood swings, his complete disregard of social protocols and authority while choosing to be a loner most of the time, that he most probably should be a scorpion! But then again, modern day birthday argued it’s view points and established it to be on February. His age as of date is estimated to be around 55 years. 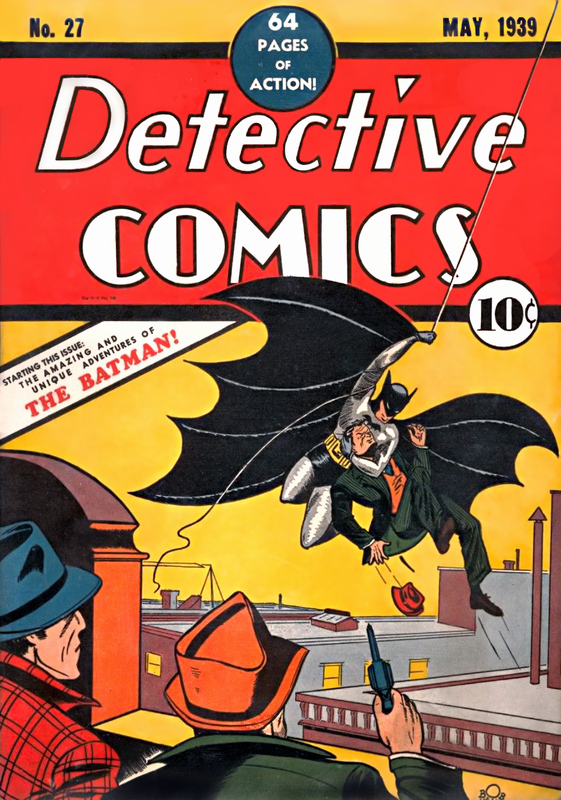 The first Batman story, “The Case of the Chemical Syndicate,” was published in Detective Comics #27 (May 1939). In the story “The Mightiest Team in the World” in Superman #76 (June 1952), Batman teams up with Superman for the first time and the pair discovers each other’s secret identity. 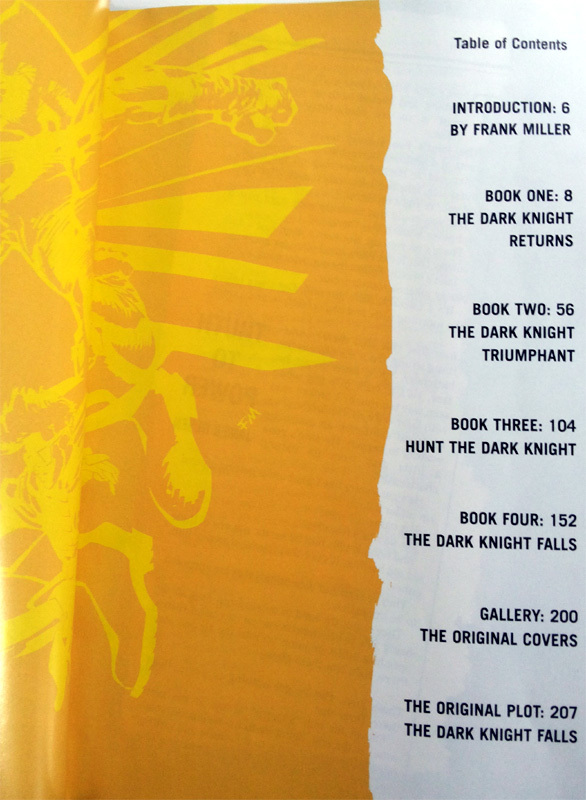 By 1964, sales on Batman titles had fallen to such an extent that DC was planning to kill Batman off altogether. In 1964, editor Julius Schwartz introduced changes designed to make Batman more contemporary, and to return him to more detective-oriented stories. 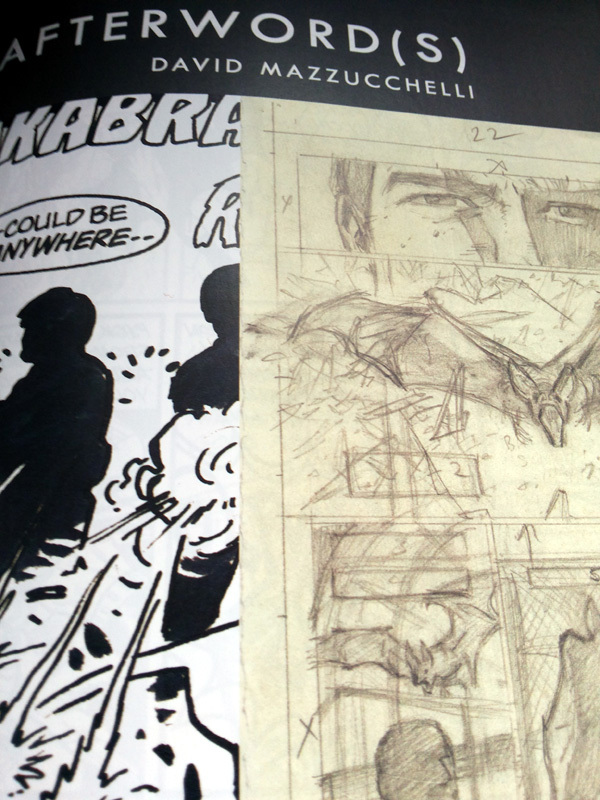 He brought in artist Carmine Infantino to help overhaul the character. The Batmobile was redesigned, and Batman’s costume was modified to incorporate a yellow ellipse behind the bat-insignia. The debut of the Batman television series in 1966 had a profound influence on the character. The success of the series increased sales throughout the comic book industry, and Batman reached a circulation of close to 900,000 copies. BATMAN’s arch villains: The Joker, the Penguin, the Riddler, Two-Face, Ra’s al Ghul, Scarecrow, Poison Ivy, and Catwoman. BRUNO: Frank Miller’s All-Star Batman & Robin, where the dynamic duo’s arch nemesis The Joker enlists a new female henchman, Bruno. She is a half naked Neo-Nazi villain who wore only red Swastikas to obscure her private area. 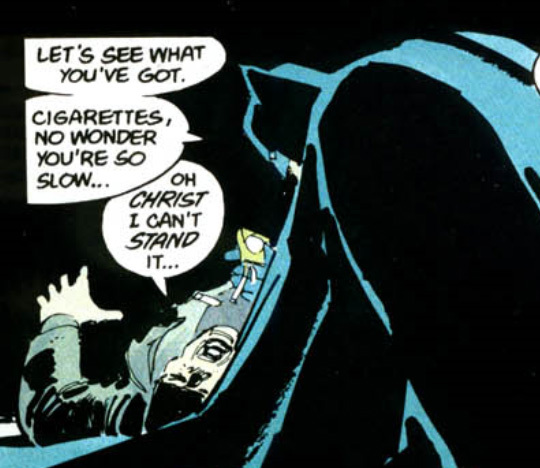 BATMAN Using a GUN to KILL: In his debut in the comics, the Batman wasn’t the merciful hero he is today. Back then, he used a gun alongside other brutal means to kill criminals. BATMAN’s son – Damian Wayne is a fictional character in the DC Comics universe. He is the son of Batman and Talia al Ghul (the origin of how this happened – The Dark Knight was drugged) created a tremendous stir among fans across the globe). Talia al Ghul is Batman villain Ra’s al Ghul’s daughter. BATMAN & the steamy scene with CATWOMAN….. 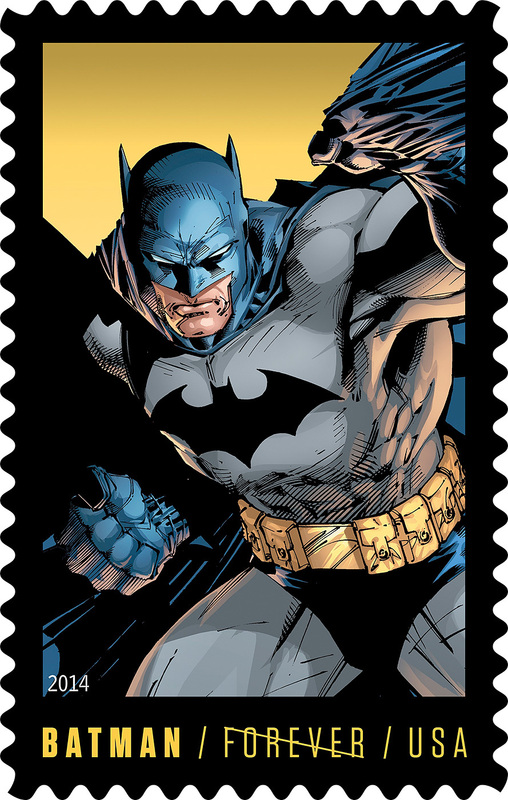 US Postal Stamp Controversy and finally….. of course, the ever controversial…. THE DEATH OF BATMAN himself! I have been a fan of BATMAN since early childhood – (link 1) Batman – After two years, why I celebrated BATMAN 75 today and (link 2) BATMAN 75 has been celebrated worldwide. Well, these were reasons enough for me to engross myself in these amazing comic books during this weekend. 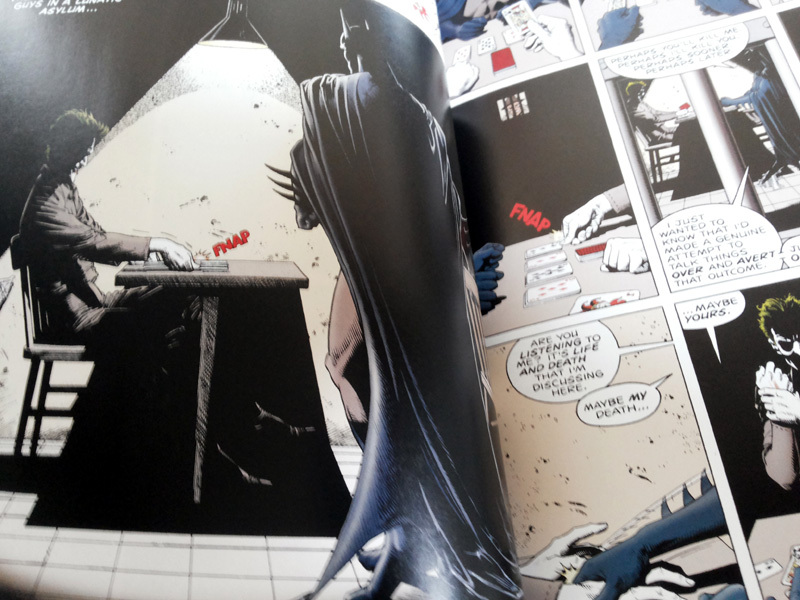 So I thought of also making this comic book fan post, not only about the Dark Knight but also share few insights and review of few of these BATMAN comic books. I believe that these are for sure among the top 5 comic books of all time. 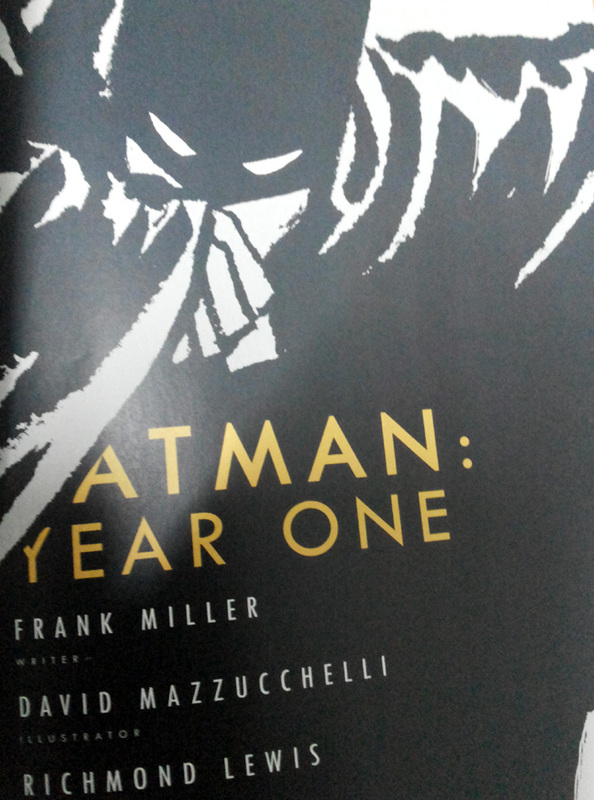 “Batman: Year One”, is an American comic book story written by Frank Miller, illustrated by David Mazzucchelli, colored by Richmond Lewis, and lettered by Todd Klein. For the regular BATMAN Movie fans, this Comic book would be very different than what they would have come to expect after seeing scores of BATMAN movies, including the epic iconic series by Nolan. 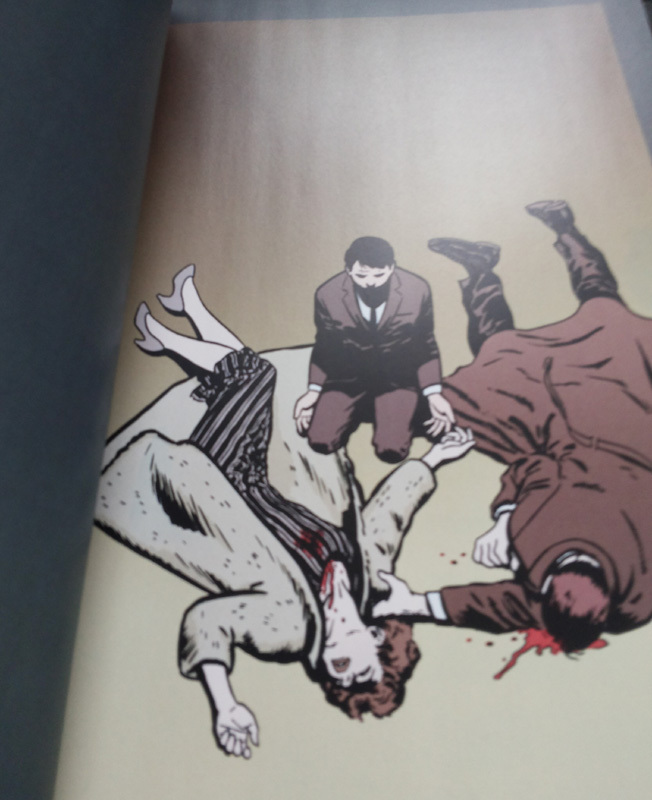 BATMAN Year ONE is as much about Bruce Wayne and BATMAN as it is about the story of Jim Gordon. 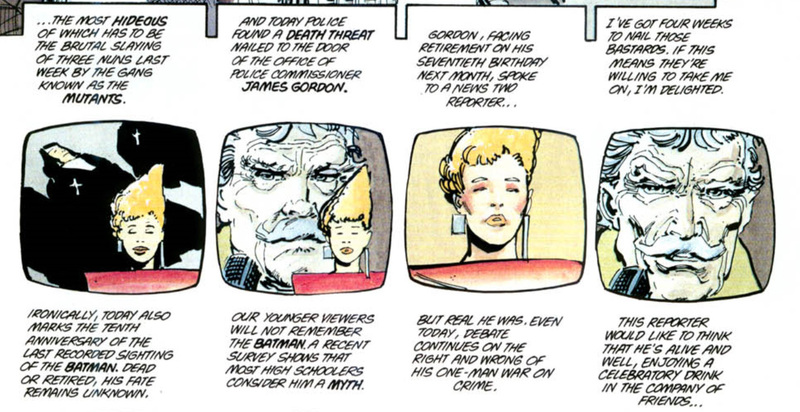 In fact, Gordon shares equal or may be even more screen-time in these comic book pages than the caped crusader himself. Brilliant use of the Tiers, panels, splash and wide screen styles have been used in illustrating this epic comic book in a way, that one feels as though, you too are a part of this journey. The expressions, intensity showcased through the call-outs, illustrations, the use of contrast and dark colors throughout this book, makes it an unbelievably amazing feast to comic book fans and readers across ages. This book runs across chapters and as each page progresses the connect between Bruce Wayne and Jim Gordon begins, but not in a friendly way, might I add. In fact, it’s almost in the end chapter section panels that Gordon and Batman are shown to trust each other. There are epic scenes in this comic book which showcase the transformation of BRUCE WAYNE to Batman – It shows the death of his parents, his training, his vengeance and the “SIGN and SYMBOL” that makes him, BATMAN. Selina Kyle is depicted in an extremely different circumstances, she is shown in a role in which the average BATMAN fan cannot fathom and Gordon is shown to be a great fighter,a strong cop who faces and fights scores of people on his own. Most importantly, BATMAN is shown to be more human than we have ever seen him to be. This comic book, shakes the very foundation in which this amazing superhero story was built, especially for fans of BATMAN in today’s world. 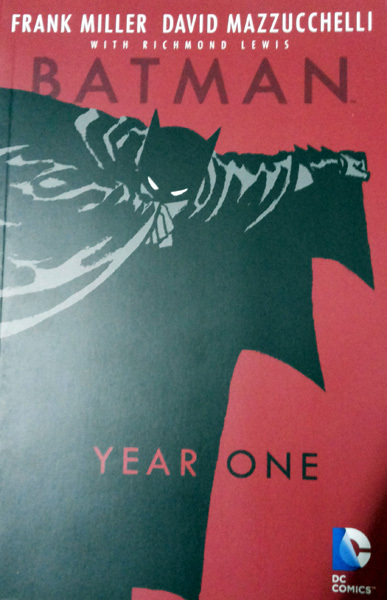 This comic book, if not yet read, should be in your list for “Read RIGHT NOW” without a doubt and according to me, “BATMAN YEAR ONE” makes it to the list of Top 5 comic books in the world till date for sure. 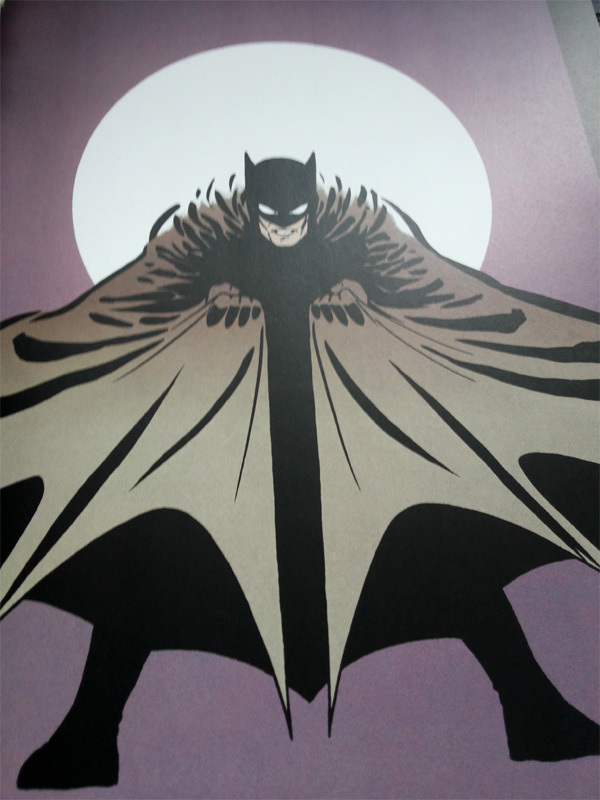 There are also special sections wherein the artist and writer showcase their brilliance in terms of a very special “AFTERWORD”, BATMAN comic book sketches, pencil artworks (original ones scanned by the artists) and of course, the amazing scores of POSTERS released for the many editions and advertisements of this COMIC BOOK over the years. It is a spectacular comic book, brilliantly written, flawlessly created in terms of artwork and brilliantly put together to make it an iconic comic book for fans and readers across the globe. 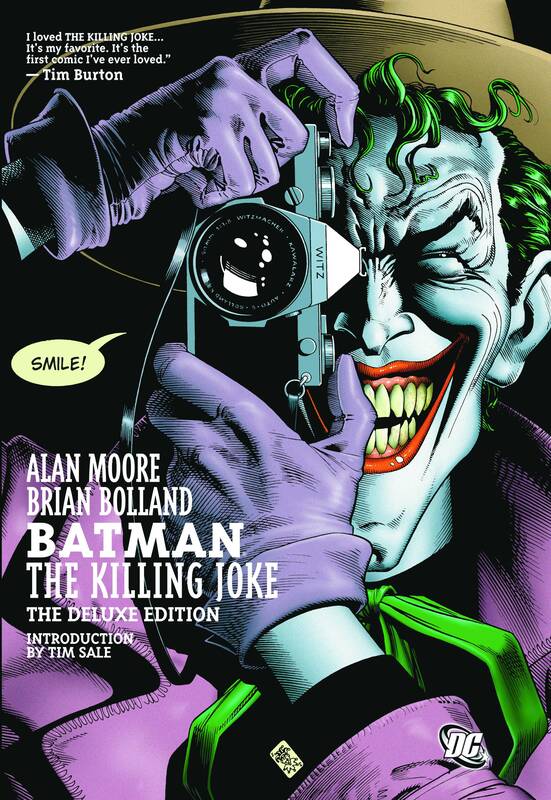 Batman: The Killing Joke is a graphic novel written by English author Alan Moore and drawn by English illustrator Brian Bolland published in the United States by DC Comics in 1988. Right from the very first page, the details of the Arkham asylum, the UNKNOWN name plate where the JOKER is kept captive (or what seems so! ), Gordon putting his faith on the caped crusader to do the questioning ‘by the rules’, the cell block with the JOKER in view in silhouette all this time and with that, the entry of the DARK KNIGHT, in silhouette of course, creates an amazing cinematic scene in front of you. In those very moments, you almost forget that this isn’t a movie, but a comic book. Plus, this one being the SPECIAL DELUXE Edition of the comic book, the coloring and the details are truly flawless and impeccable through each and every panel and tier of the comic book pages. The first conversation, between JOKER and BATMAN are not something that you would expect, though the scene would bring back the epic movie experience from NOLAN’s – The Dark Knight Rises where BATMAN meets The JOKER in the jail cell. 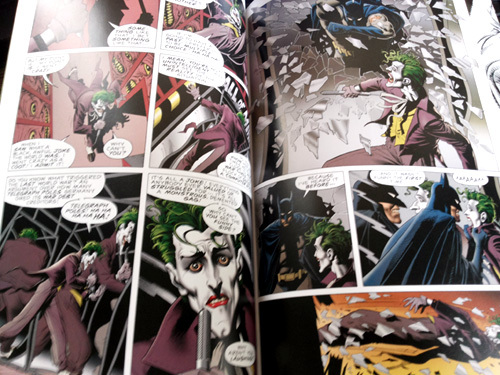 There are scenes throughout the comic book wherein, as a Tier panel and page ends, the next panel continues in the same style or creative as the earlier one as though with an attempt to soothe readers into the changes in the plots and scenes. It’s like the intention of the artist is, for the readers of this comic book to read it as though they are watching the movie and the camera angles are providing the best views so as to ensure the viewers sights blend into each scene smoothly from one plot to another. 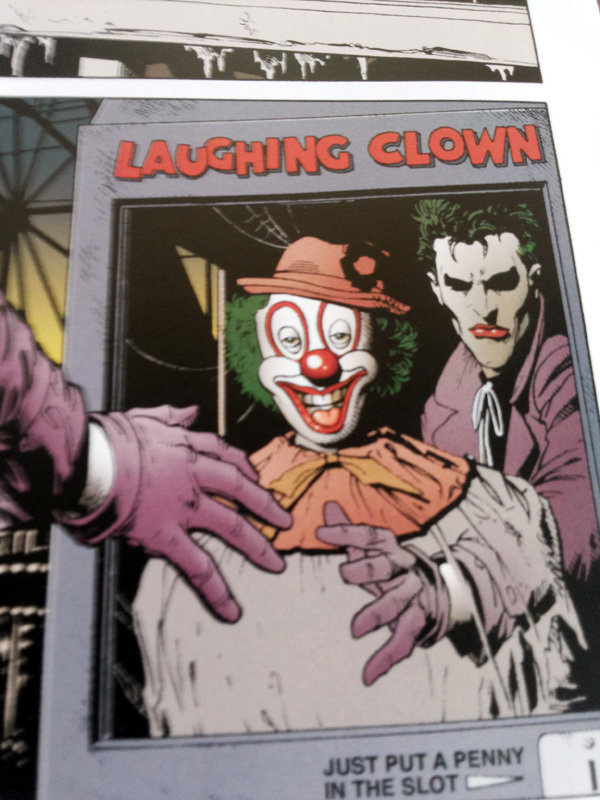 This is one of my most favorite scenes in the comic book where you can see, you can almost feel the clown prince at the edge of ‘sanity’ as he is then pushed beyond those lines in the coming panels that drives him to become THE JOKER. Also, the panel before this scene (showcased below), was yet another brilliant way of creating the link and connect from one plot to another by the artists. In the earlier scene, there is an exact same body language and structure shown, except, in the place of the clown, we can see the JOKER’s wife with her arm extended as she smilingly expresses her love towards her husband. 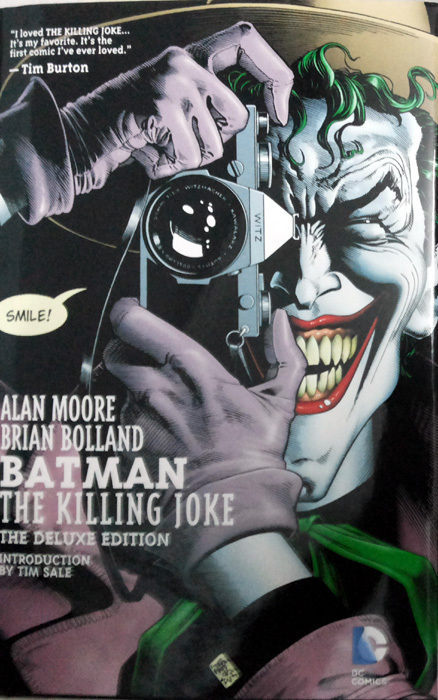 This Comic Book,as the name suggests, is about the origin story of the JOKER. The whole book revolves around this one tag line – “ONE BAD DAY” and how that day transformed this ‘common man’ to become BATMAN’s greatest nemesis and the super-villain as we all know him to be. It also takes a powerful twist as it showcases The JOKER inflicting chaos, pain, suffering like we have never seen before and that too on Gordon and his daughter. Readers should note that this is no ordinary Comic book – It comes with a special text – For Mature Audiences only and yes, the illustrations in the book really mean it! In this, the Clown Prince of Crime, The JOKER, takes things to an extremely personal level, more than we could imagine him to. He is simply vicious and has only one clear goal in mind – To make people experience ONE BAD DAY, break them and drive them insane! What’s more, he wants them to embrace that insanity with flair too! This graphic novel won the Eisner Award for ‘Best Graphic Album’ and garnered Alan Moore the ‘Best Writer’ award in 1989. Even though this book has been rated as one of the greatest comic books of all time (only to follow BATMAN Year ONE), I personally would rate this as the Greatest Comic Book of all time. May be it is the ferocity in the pages, may be it is the story of a common man, or rather, two regular men, just living their lives, facing death of loved ones, being the victim through no fault of their own, but two people, who take very different paths to deal with their pain. The intense sketches, powerful graphic illustrations that showcases blood, gruesome fights and mature scenes inflated with a dose of insane genius, coupled with an amazingly brilliant story-line creates the greatest COMIC BOOK of all time. That too, when I view the pages of this DELUXE Edition of the comic book, it’s simply out of this world. Another important fact to note is that, this book has been one of the serious discussions in the subjects of FEMINISM, for depicting the violence towards the way Gordon’s daughter is treated by the Joker in this comic book. Yes, I felt that too, at times, as I flipped through the pages, I definitely questioned the reason behind depicting so much violence on Barbara Gordon and the answer is no, no…. it was definitely not necessary. It hurts me to say that about this epic book, but all I can quote here is that, I can merely hope for the writers of this book to come up with a perfect story that showcases Barbara surfacing as the Batgirl (Though the debate ensues for her either as the ORACLE or the BATGIRL, I would like for her to recover from the paralysis due to the bullet from The JOKER gushing through her spine and for her to return as the awesome BATGIRL) and doing some power packed kickin’ as she brings justice in the coming years side by side with the caped crusader. Then there are these spectacular scenes too, inside the circus (The freak circus). The confrontation between the BATMAN and the Joker here are simply amazing. You can feel the insanity of the Clown prince in these scenes as he speaks through the microphone as though trying to build a relationship and connect with the BATMAN on why they both are the way they are. 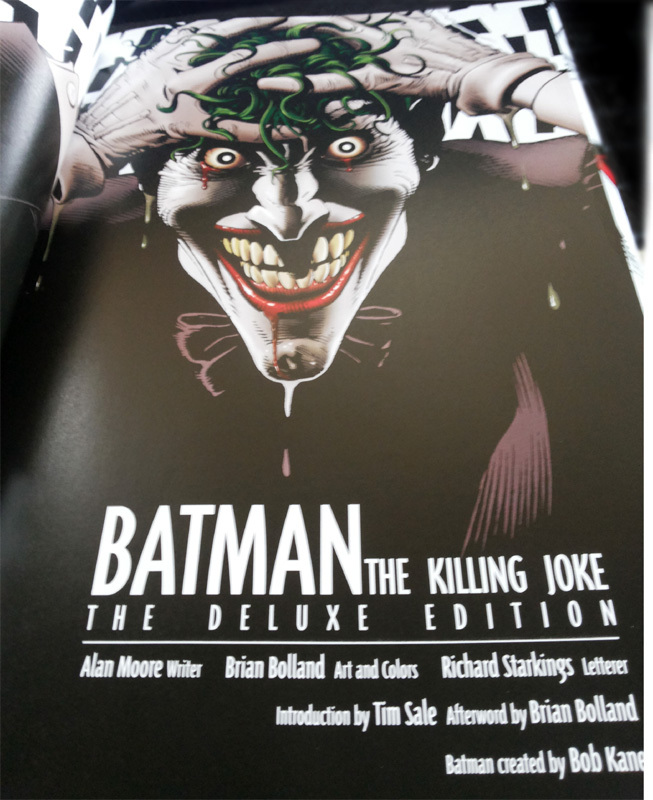 At the end, there is the AFTERWORD by the artist himself, the sketches, few of the original artworks scanned, the story and illustration of the “INNOCENT GUY”, the real story behind the re-coloring, story-line etc of BATMAN – The Killing JOKE, all of which are brilliantly showcased through these amazingly spectacular comic book pages. Have a blast reading this epic book some day soon if you haven’t already. Looking forward to more such brilliant masterpieces in the near future from these artists and (yes, for the sake of our very own sanity) do showcase a story with Barbara as the BATGIRL……..SOON! If there was ever a reason of why Comic book fans across the globe believe that BATMAN can defeat any foe in the world, this comic book is the reason why! 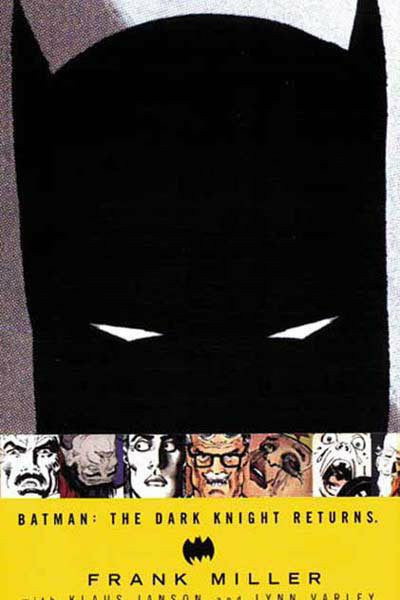 This edition – BATMAN – The Dark Knight Returns May 1997 is without a doubt the reason why this iconic caped crusader became the LEGEND of the DC universe and of course, across superheroes! This four-issue miniseries showcases Batman a decade after his retirement. Every superhero is shown to have gone into hiding except for the MAN of Steel who is shown serving American Government, in fact he is shown merely as a tool of the government who does their bidding without questioning how it would affect humanity. This book showcases the battle Bruce Wayne takes up after he is forced from retirement. He fights the corrupt system and his dreaded foe, the Mutant gang to save his favorite GOTHAM and in this battle, he fights the Man of Steel himself. There are epic confrontation scenes between both of these iconic superheroes who talk to each other, but one can clearly see from Bruce’s response, that BATMAN will not stay down. Bruce’s response makes it very clear that BATMAN will die fighting, but will not stay down. This is without a doubt one of the most influential stories ever written in comic book history that has inspired filmmakers across the globe. Meanwhile, this epic comic book introduces Carrie Kelly who is a teenager. She joins BATMAN as female Robin in this fight to end the war that the mutant gangs seems to have declared in the beloved city of Gotham. It is the political stand and point of view that Miller has offered in this ground-breaking novel that truly makes it to stand out of every other comic book till date. Miller stresses using this book of how using legitimate use of force, the state exercises their power over helpless citizens. Throughout this book, one can see that the story is narrated by a series of news broadcasts and television interviews. The power of media is shown to act as being indubitable, wherein the citizens of Gotham silently face the beating from all sides and are shown to be completely helpless. 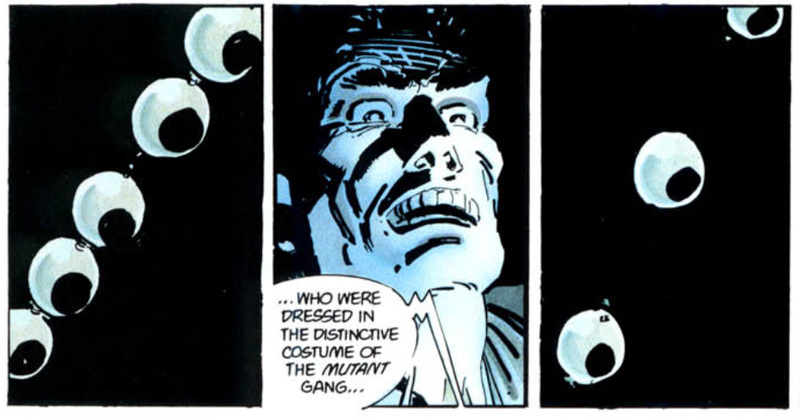 The scene above is an important part of the BATMAN series and its interpretations are many. Some say, its his mother….i.e the pearls, in the mind of Bruce (little Bruce), some have argued that the pearls symbolize his own eyes viewing the crime committed for merely….. money and petty theft. This is an important scene and as we have seen even in the NOLAN masterpiece, The Dark Knight Rises, Bruce finally gets out of hiding when he goes hunting for his mother’s missing pearls stolen by Catwoman, Selina Kyle in Wayne Manor. Even at the end of the movie, the only thing that Bruce has taken with him during his disappearance with Selina is the PEARLS while he leaves the rest to Robin, Alfred and the orphans of the city of Gotham. Now, here is another funny scene, well, its actually a fight scene where we are shown The Return of BATMAN and the BAT back kickin’ the bad guys after the long gap. He searches one of the bad guys and finds cigarettes and says, “Cigarettes, no wonder you are slow.” Hahah, loved it! Nice message: So NO TO DRUGS Kids! This comic book without a doubt reiterates the aspect of what truly defines a Superhero at the end of the day. It is his or her devotion to justice that can even override his devotion to the law when the time is right and when the city and their people really need him / her to stand by their side. This Comic book is well, ground-breaking! Who is your favorite comic book superhero? Which Comic book did you enjoy reading the most till date? Do share your views with me here. So this one being only my fourth post on this blog, it makes sense that I continued the nostalgic journey with another epic comic book superhero character of the early 1930’s by Lee Falk. The series began with a daily newspaper strip on February 17, 1936, followed by a color Sunday strip on May 28, 1939. Here again, as I mentioned in my earlier blog post, that Mandrake the magician is regarded as the first superhero by many comic book fans, The Phantom is also regarded by many comic book fans as the first Superhero in a costume without any actual superpowers who of course was followed by the ever iconic and legendary, all time and my personal favorite, Batman in May 1939 created by Kane and Finger. 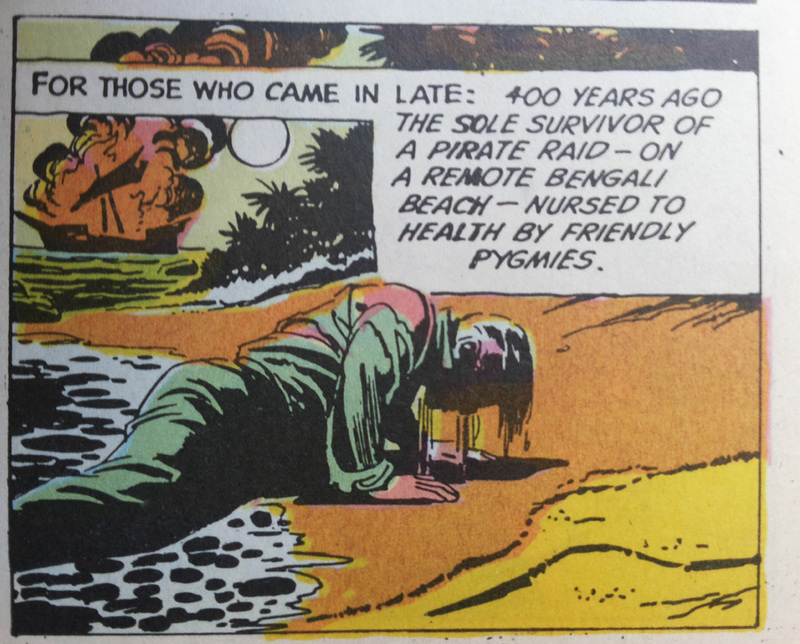 At the peak of its popularity, this comic strip from Lee Falk was read by over 100 million people each day. 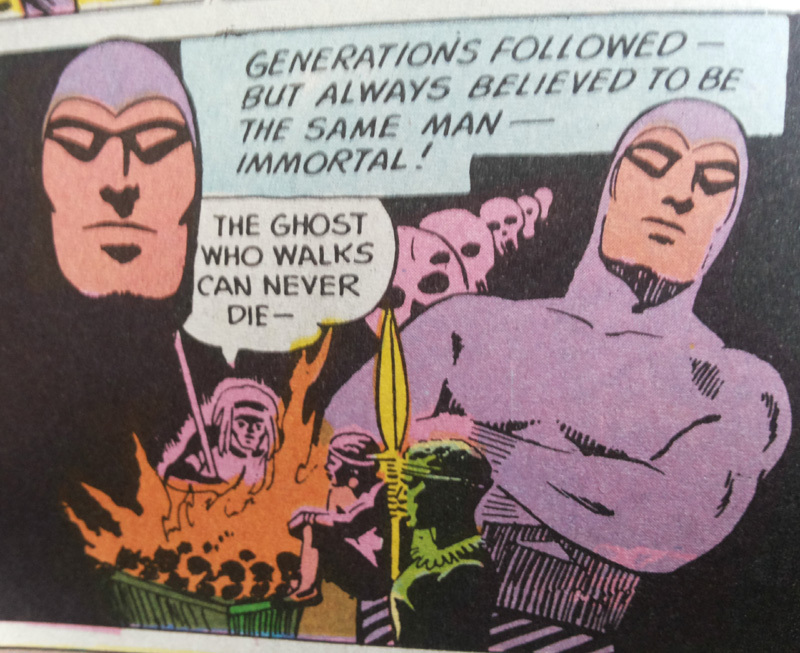 Powers: He does not have any superpowers and his strength is intelligence and his reputation of putting fear in the hearts of his enemies as the ‘man who cannot die’ or the ‘ghost who walks’, thus being an immortal ghost. His Famous Signature: Is the Skull mark he leaves around the props across different places and on the faces and jaws of his enemies. 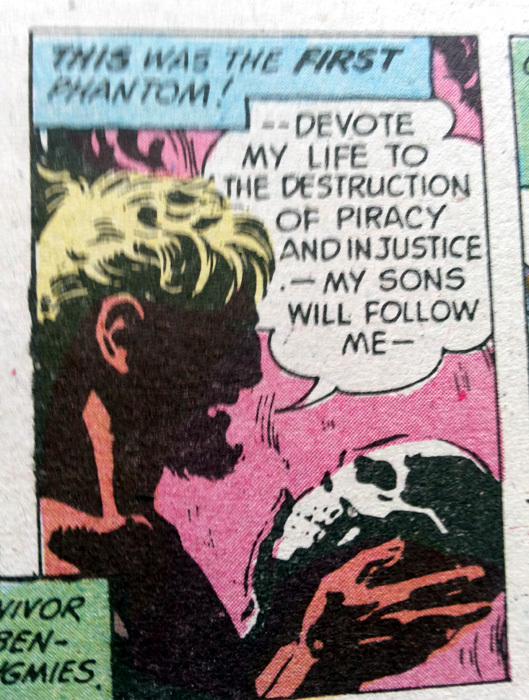 The story of the Phantom started with a young sailor named Christopher Walker born in 1516 in Portsmouth. His father, was a seaman since he was a young boy, and was the cabin boy on Christopher Columbus’ ship Santa María. Both father and son sailed across the ocean in 1526. His base is in the Deep Woods of Bengali and his home is the “Skull Cave,” deep in the heart of his jungle. 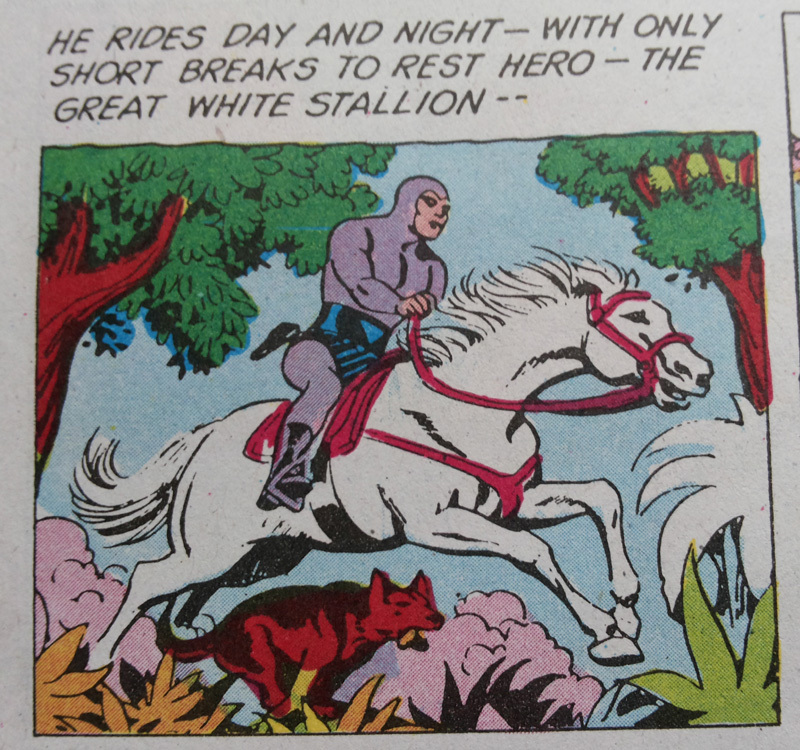 The Phantom has two helpers, a mountain wolf called Devil and a horse named Hero. He also has a trained falcon named Fraka. 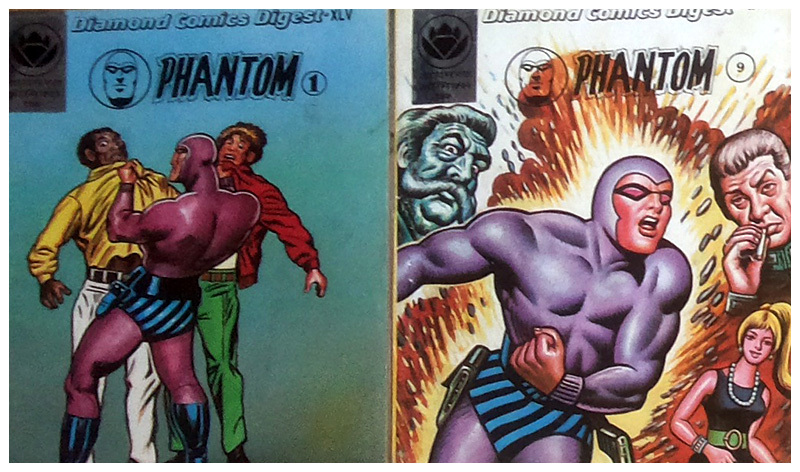 MYSTERY: Even readers of ‘The Phantom’ comic book have never been shown the Phantom’s unmasked face clearly. 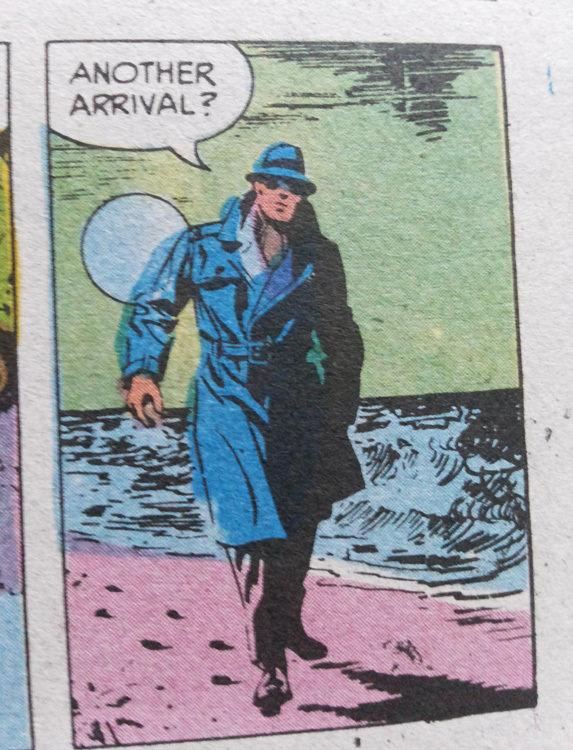 When the Phantom leaves the jungle, he frequently dresses in a fedora, a trench coat, and sunglasses. 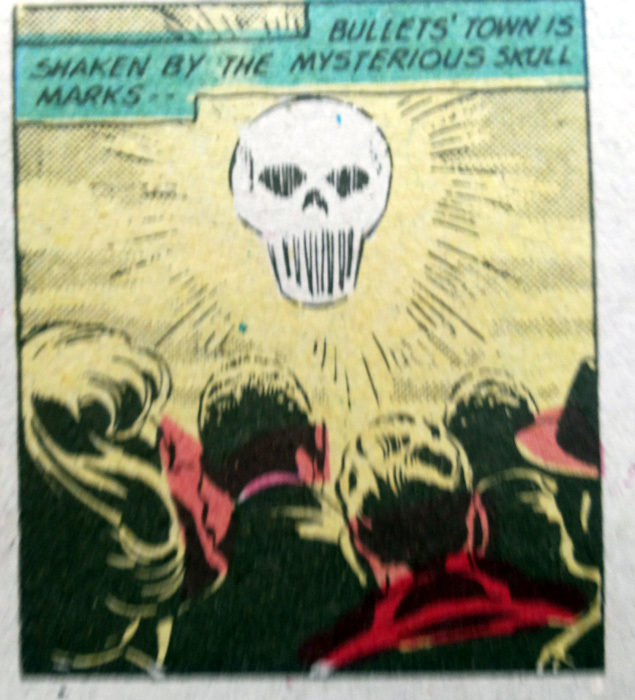 Have you read about this first ever masked superhero, the ghost who walks, the man who cannot die….. THE PHANTOM? Do share your views and comments with me here. Comic books, give me a nostalgic feeling as they take me down the memory lane of early childhood. After my first official Welcome post (Click here to read), I thought of starting a blog post today about a comic book that I used to read a lot as a kid during my early childhood days in the late 1980’s with the main character that had superhero powers. Now the most amazing thing about the origin of this comic book character is that, he was a magician who had superpowers and I am talking about a time even before Superman! 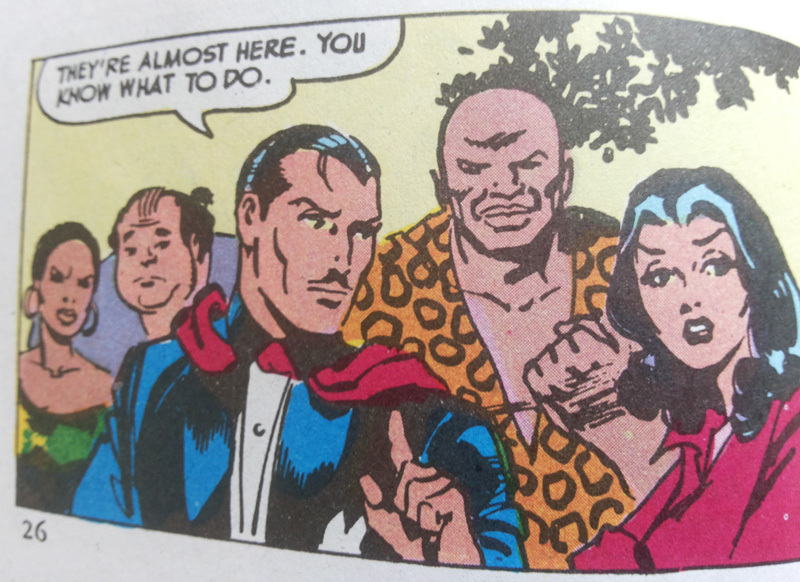 That’s right, it’s Mandrake the Magician. Mandrake the magician is a syndicated newspaper comic strip, created by Lee Falk in 1934. 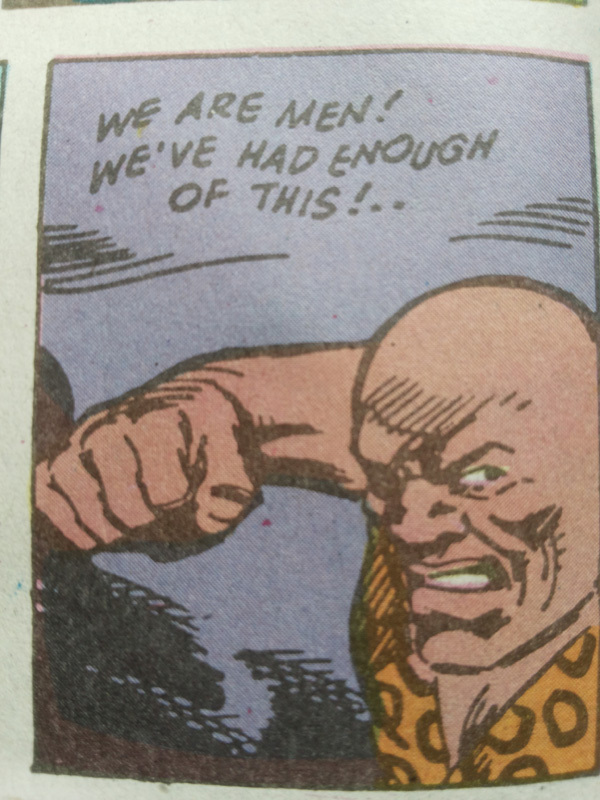 About Lee Falk: (April 28, 1911 – March 13, 1999), was an American writer, theater director and producer, best known as the creator of the popular comic strips The Phantom (1936-present) and Mandrake the Magician (1934-2013). At the height of their popularity, these strips attracted over 100 million readers every day. Mandrake the Magician is a syndicated newspaper comic strip, created by Lee Falk, which began June 11, 1934 and has been distributed by King Comics. His trademark – His hat, cloak and wand, passed down from his father Theron which possess great magical properties. His powers: Fast hypnotic technique which he gestures hypnotically. He is psychic and also has telekinetic powers. 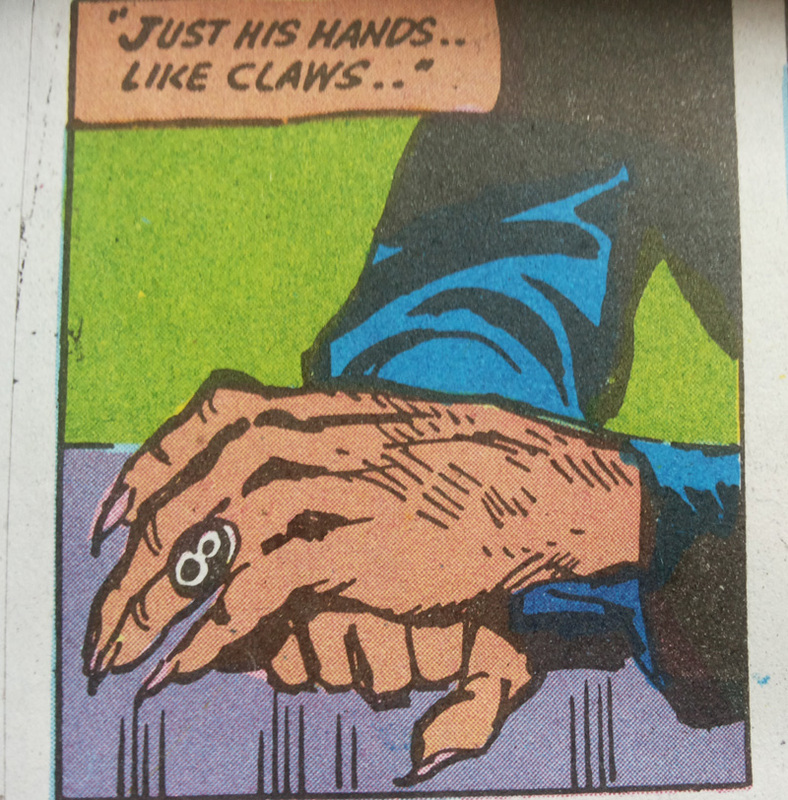 He can also turn invisible, shapeshift, and teleport periodically. Lothar – Mandrake’s best friend and crime fighting companion. Narda – Princess of European nation Cockaigne. 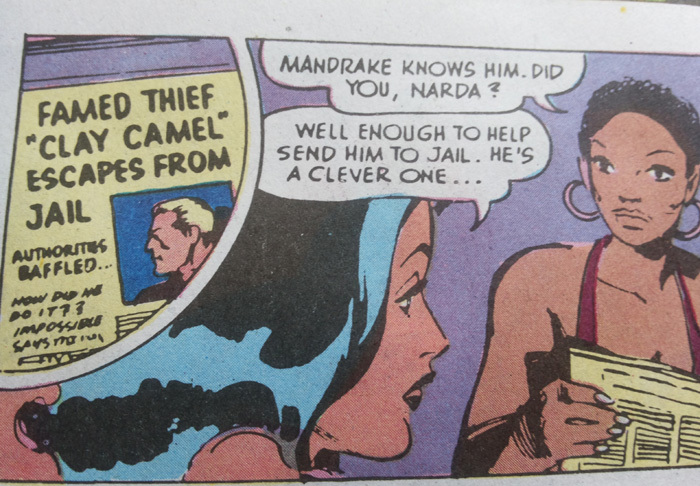 She made her first appearance in the second Mandrake story. Although she and Mandrake were infatuated with one another, they did not marry until 1997. Karma – Lothar’s girlfriend, an African princess who works as a model. The Cobra, Derek, Ekardnam,The Clay Camel, 8 (8 is an old and very powerful crime organization originating in medieval times). 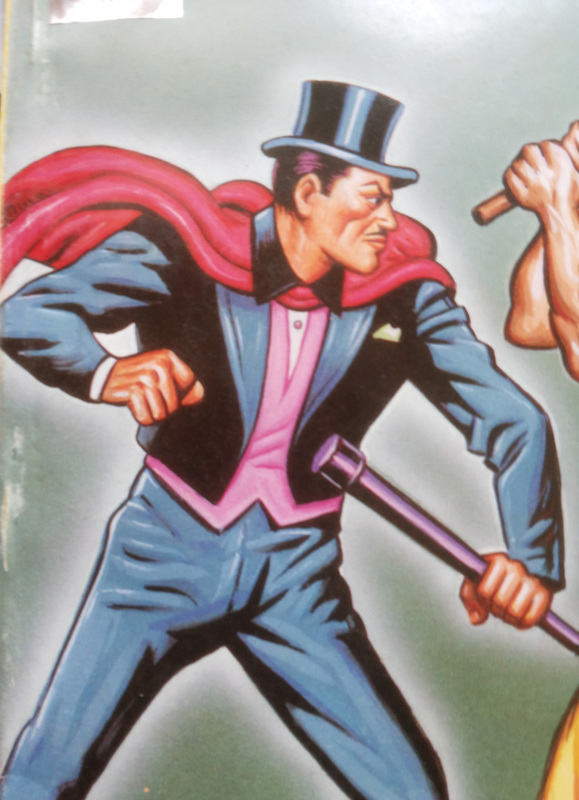 Some people say Mandrake the Magician, who started in 1934, was comics first superhero! 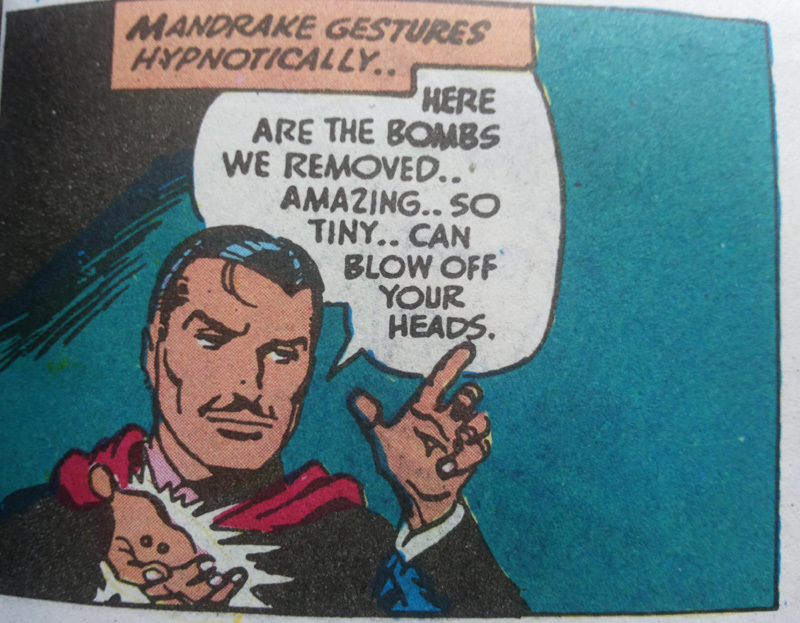 Have you heard about Mandrake the Magician? What are your favorite publication issue copies of his comic books? Do share it with me here, would love to hear from you. Welcome to my Personal Blog on Comic books. Looking forward to an amazing journey ahead.